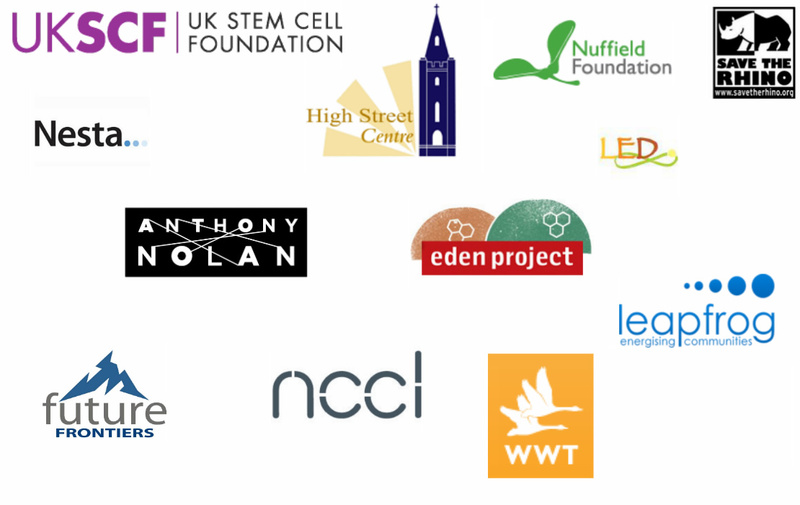 As the Charity Insights scheme enters its sixth year in 2017, we thought we’d put together a list of some of the previous destinations for the 80 or so participants who have undertaken projects with charities. If you’re thinking about applying for Charity Insights this year, this list may provide some inspiration – although of course most applicants to Charity Insights approach charities who have not previously hosted an student as part of the scheme! If you’d like to talk about Charity Insights and your ideas for a project, book to see us in an Internship Consultation (available four days a week) via JobsLive! This year, the bar for the standard of Charity Insights was raised yet again, with our applicants proposing some excellent projects. As a result, we had to make some tough decisions to get from our pool of over 40 applications to the smaller number of bursaries available. After a highly competitive process, we are very happy to announce that we will be awarding 22 Charity Insights bursaries to students this summer! It has been amazing to hear from all the students about the range of projects they will be undertaking this summer and, of course, their progress will be recorded right here on this blog. On one of the rainiest days of the year, myself and Jess set out to visit Chris at Sense about Science, a charity attempting to equip people to make sense of scientific and medical claims in the press and public discussion. Working with over 6,000 scientists, they run campaigns such as Ask for Evidence and host panels on subjects such as plant science and energy. I’ve been out on my travels in the last week, getting the opportunity to visit some of our esteemed Charity Insights participants. I was pretty excited to get to see some of the first fruits of 2015 Charity Insights’ labour in full flow; following projects from application form to literal application in a professional setting. First up was Farzana at London Tigers, just a short hurtle on the Hammersmith & City line away near Westbourne Park. London Tigers engage with disadvantaged communities, providing employment and training skills programmes and running youth and sports clubs to young people in the capital and beyond.